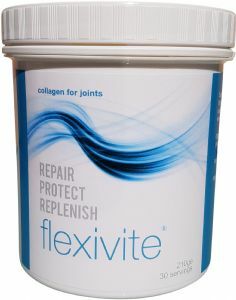 Flexivite is 100% pure Collagen Hydrolysate, providing high level care and support for joints and muscles. Repairs, replenishes and protects - before, during and after exercise. 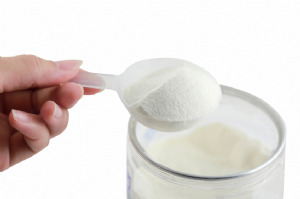 Flexivite supplies 7000mg of pure collagen protein per serving. Quick and easy for active people on the go; simply add to water, hot or cold drinks - even yoghurt and soup etc. Odour and taste free, with no additives or flavourings. Made in UK by Arthro Vite Ltd, the company responsible for introducing collagen (the most abundant protein found in our bodies ) to the UK. From around the age of 25 collagen levels reduce by about 1.5% every year. 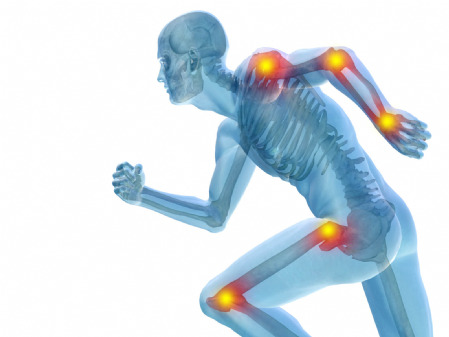 This contributes to a general stiffening of joints, thinning joint cartilage & brittle bones. Skin becomes dull and lifeless and elasticity reduces to cause unwanted lines and wrinkles. By the age of 45 collagen levels have reduced by up to 30%. No pills - an average capsule contains only 500mg, please bear this in mind when comparing products. Drink format quickly absorbed. Totally natural, no additives/fillers, Flavourless, odourless and easily absorbed, simply add to any hot or cold drink. Directions: Once a day at a time to suit, add 1 level scoop to drink of choice and shake/stir until powder is fully dissolved. General Information: Keep out of sight/reach of children and store in a cool, dry place. If pregnant/breastfeeding, please consult a doctor before use. Not a substitute for a healthy balanced diet. Continuous use (min. three months) recommended for prolonged benefits. Produced under licence by Arthro Vite Ltd in accordance with European Patent No. 0254289. Ingredients / Nutrition: 7000mg of Pure Collagen Hydrolysate protein per serving.